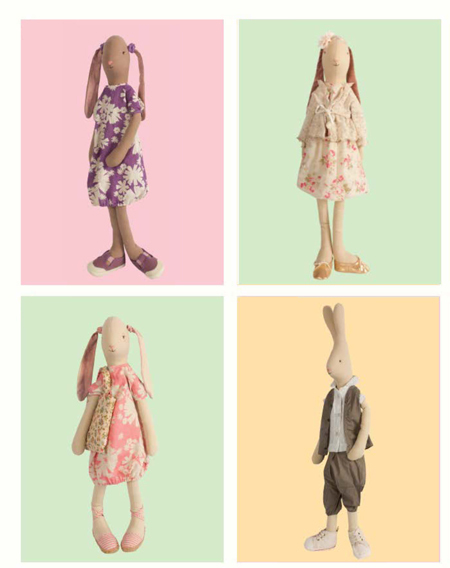 The most enchanting bunnies, matchbox mice, woodland creatures, playthings, accessories and seasonal decor await your discovery. 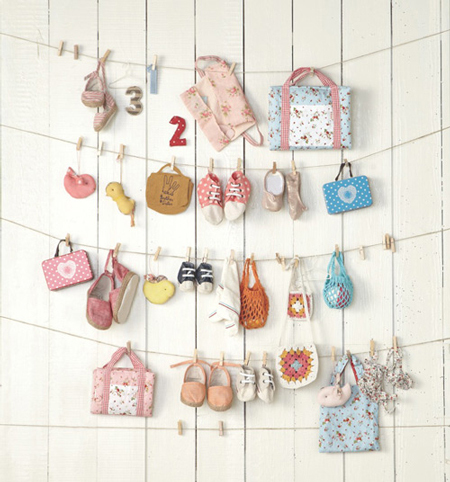 Sisters Guild is one of the biggest stockists of Maileg online internationally and in the UK. It comes from falling in love many moons ago with all the bunny rabbits and their wonderful world. Now they arrive all innocent in their knitted or floral underwear ready to be named, dressed and adored and taken on many adventures by you! 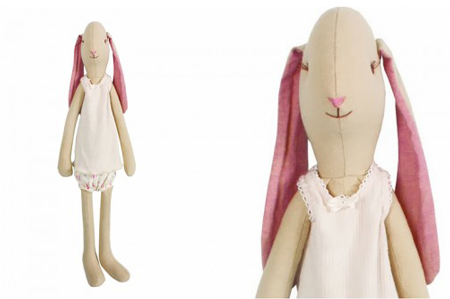 The Maileg Bunnies are made of linen fabric in a light or dark brown. They have long dangly legs and arms and some have floppy ears others tall ears - altogether endearing and all the better for loving. We can finally make this one a bit clearer! 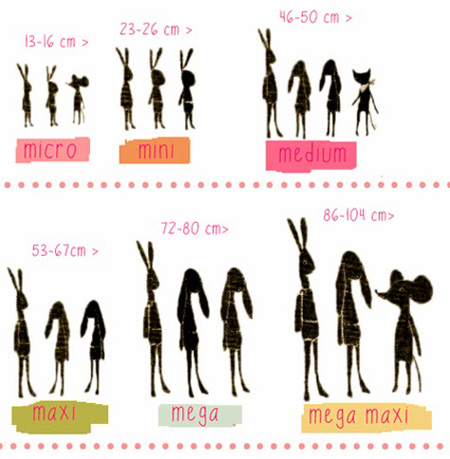 These pics will help you decipher and choose your bunny size. 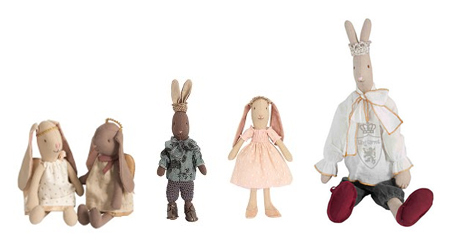 So, what do they wear, these bunnies? 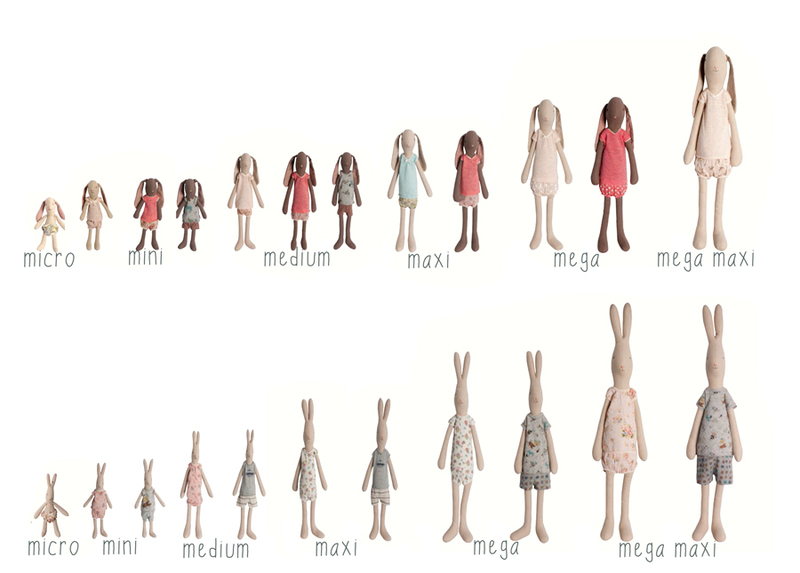 As well as making your own wonderful clothes or delving into your dolls wardrobe, Maileg have created many outfits to choose from, for each season. 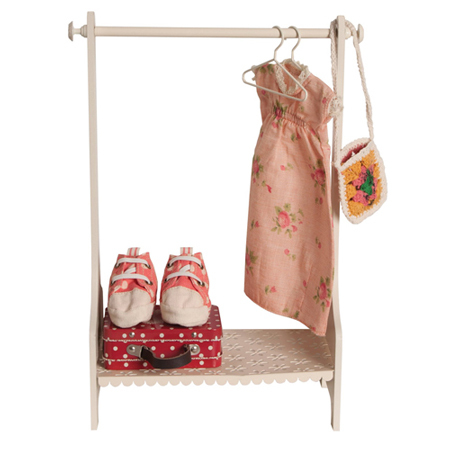 There's shoes and bags and this summer there's a Yoga set too. 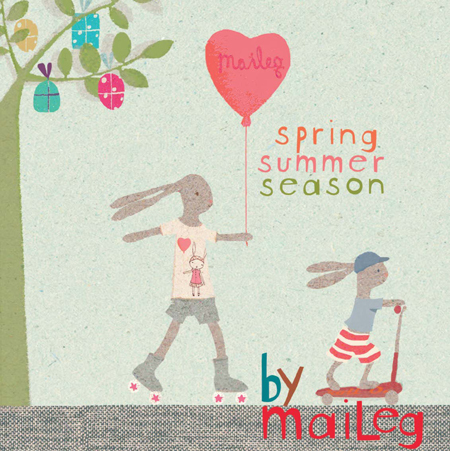 The Maileg Bunnies do have an inspiring lifestyle! And what about the BUNNY HOME? 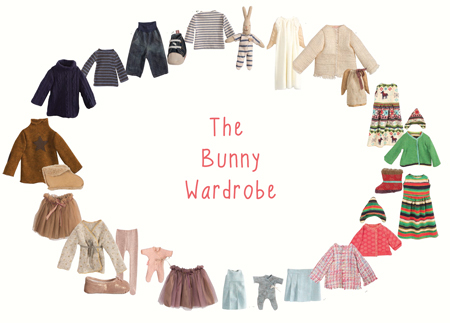 The Maileg Bunnies have wardrobes, ironing boards, clothes racks and washing lines. There's cupboards, tables and chairs, benches, highchairs, prams and pottys. A stove, a cradle, a nursery bed and a scooter coming soon too! 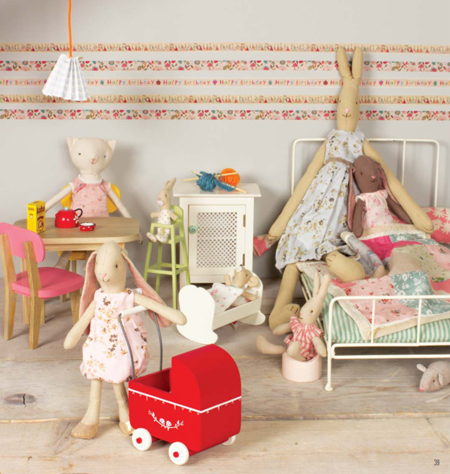 The Maileg furniture is suitable for the smallest bunny rabbits: the Maileg micro and mini bunnies, and some larger pieces for the Medium Rabbits. Part Two of our guide will explore the Bunny Home in more detail.